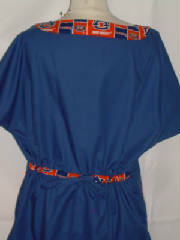 Navy blue w/auburn contrasting collar, pockets & back casing, w/matching Auburn socks & scrub cap w/pony tail holder. 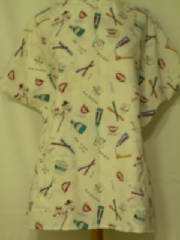 Top has round neck, two front pockets & back waist drawstrings. 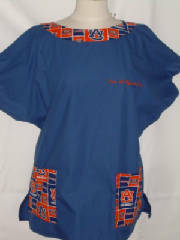 Left side has I'm a Tigers Fan embroidered in orange(choose your own phrase). 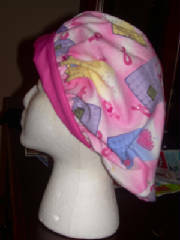 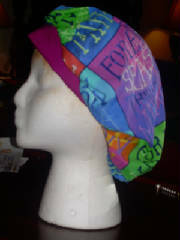 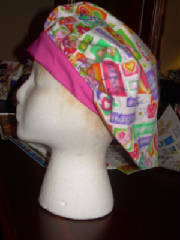 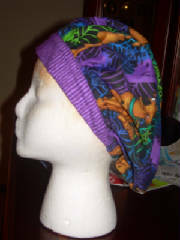 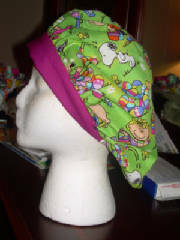 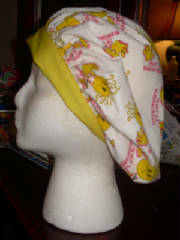 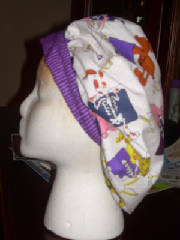 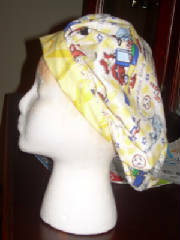 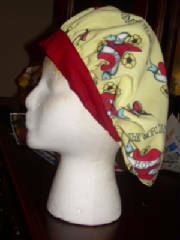 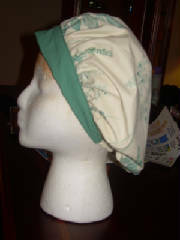 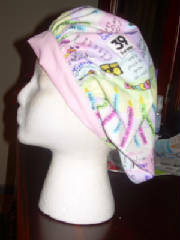 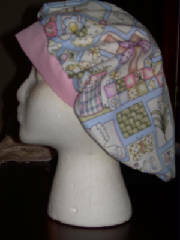 Scrub cap has contrasting Auburn band & pony tail holder. 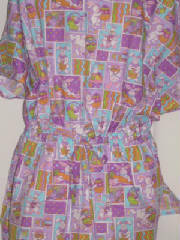 Scrub top "Easter bunny and eggs fabric w/contrasting pocket bands and neck facing and back waist drawstring", w/matching socks. 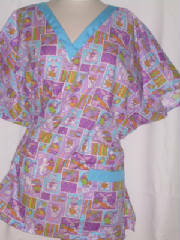 Dental Scrub Top w/matching socks has v-neck, two front pockets & back waist drawstrings.